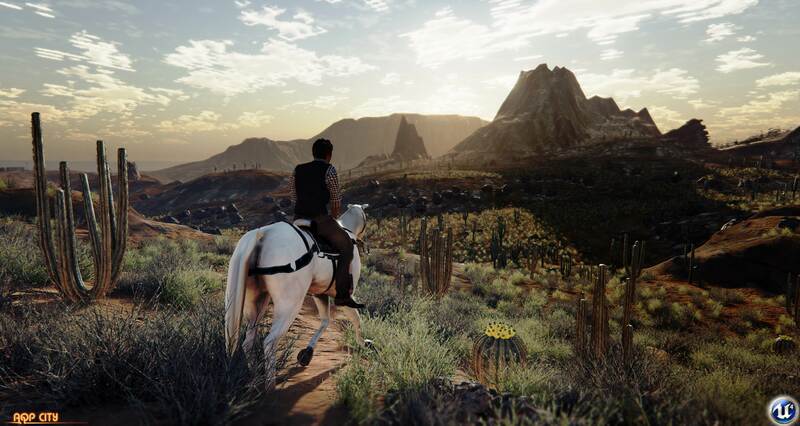 Inspired from Red Dead Redemption 2 and Grand Theft Auto 5, a new open-world game created on the Unreal Engine 4, AQP City will be released soon. The latest screens of the upcoming game were also published over the Internet where the game looks pretty realistic. AQP City was announced back in November 2013 where it was mentioned that the game will be powered by Unreal Engine 4. It is an open-world third person shooter, mostly inspired by famous open-world game, Grand Theft Auto V. There is no word regarding the release of the game yet. The game can be played with friends over the internet.The main areas in the game include forest, plain, the city, the desert, the mountains. AQP City will be released for PC, Android and iPhone, as currently the game is under development.